We get our prices directly from Half Moon Harbour. Welcome to Half Moon Harbour. With an unbeatable riverfront location and spectacular views of the Manhattan skyline, this premier apartment address has it all. An outdoor heated pool, lounge area with fire pits, tennis courts, a fitness center, and a gorgeous riverwalk are just some of the perks that come with living at Half Moon Harbour. Major shopping and dining destinations are just minutes away. 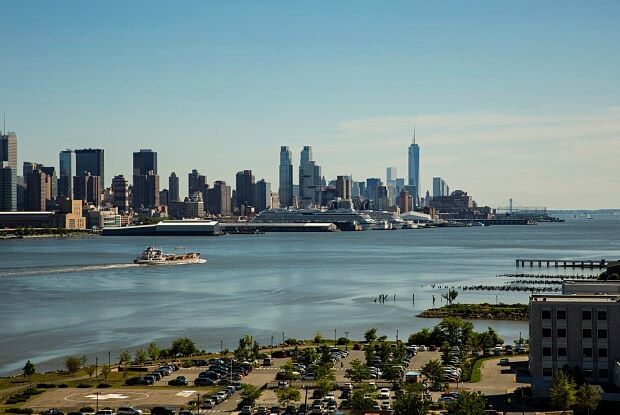 And for those looking for easy access in and out of the city, our location between the George Washington Bridge and the Lincoln Tunnel, combined with a complimentary shuttle to the NY Waterway Ferry, make commuting carefree. When you live at Half Moon Harbour, you'll be minutes from New York, but miles away from it all. Parking Details: Other, unassigned: $90/month. We have both indoor and outdoor parking spaces available. Indoor parking is $130 for the first and $175 for the second space. Outdoor parking is $90 for the first spot and $100 for the second. Garage: $130/month, surface lot: $90/month. Have a question for Half Moon Harbour?